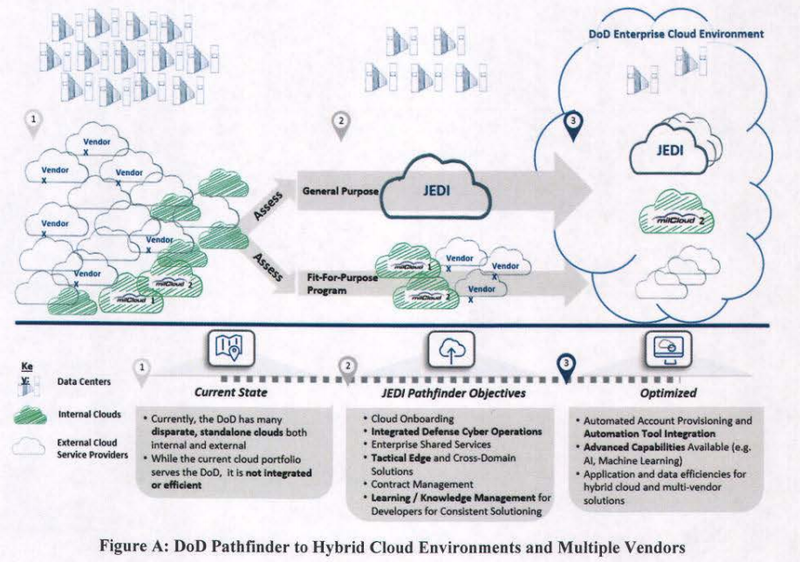 The US Department of Defense has published its cloud strategy, which shows it will be relying heavily on the upcoming JEDI contract to service most of its needs. The document, which was sent to Congress on Monday, outlines the challenges faced by the world's best-funded military, as warfighting shifts into the digital domain. Deasy, who joined in May 2018 after a long stint as the IT head of JPMorgan Chase & Co, added: “One of the things traditional computing has always had a problem with is the warfighter sitting out on the tactical edge, [with the] cloud sitting [elsewhere]. 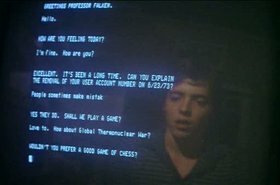 "Now imagine a world where we can take that compute power with new applications on top of it, and put the cloud right into the hands of the tactical fighter on the edge. That’s why the cloud is so important to us." The strategy document, seen here, notes that in the past, the department "has not had clear guidance on cloud computing, adoption, and migration to provide unifying guidance or a coherent plan. This has made it difficult for the Department to embrace modem IT capabilities, to benefit from the efficiency and capacity offered by commercial cloud services, and to continue to evolve with technology at the speed of relevance." For the government, the benefits of shifting to a cloud-first model are similar to those experienced by traditional businesses: "Moving infrastructure from DoD-managed, on-premises facilities to the cloud will take advantage of the rapid roll-out of software and hardware updates. Cloud Service Providers are able to shift workloads within their data centers such that updates are seamless to customers. Hardware with defects or vulnerabilities is constantly swapped out and software patches are applied with vigor in a secure and fault tolerant manner." Cloud providers also offer an additional level of resiliency, having large numbers of data centers spread out across wide geographic regions, with automatic failover systems in place - a military requirement based on realities most enterprises do not have to face. "This will be vital in the case of human-made or natural destruction of a large geographic area," the report states. 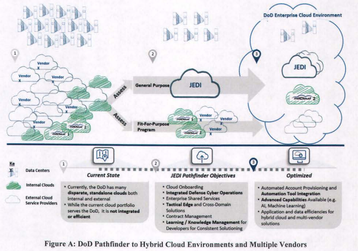 The majority of DoD workloads will be run on a single commercial general purpose cloud solution, as per the Joint Enterprise Defense Infrastructure (JEDI) contract, which is yet to be awarded. "To implement the Department's General Purpose cloud, an industry partner will be required. The complexity of this endeavor and the Department's lack of large-scale, enterprise, commercial cloud experience means that this partnership is critical to the successful stand up of the enterprise General Purpose cloud." The search for that partner, which could lead to a 10-year, $10 billion contract (across several phases), has been beset by controversies. Amazon Web Services has been seen as the front-runner, due to both its market dominance, and stipulations in the contract requirements that seemed to favor the company's approach to infrastructure. Competitors such as Oracle and IBM have launched legal complaints, as well as aggressive lobbying efforts. An ongoing lawsuit by Oracle claims that several DoD employees had improper relationships with AWS, with one staffer, Deap Ubhi, working for the cloud company, then for the DoD (where he allegedly helped develop the early stages of JEDI), and then for AWS again. Enable emerging technologies, such as AI"
The 'tactical edge' comes with its own requirements, as soldiers will need access to ruggedized and adaptable systems, "providing for automatic synchronization to the greater cloud once communication is sufficient or reestablished." 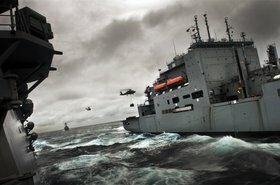 With that in mind, it is perhaps not too surprising that this week Microsoft - another strong contender for the JEDI contract - revealed that it has worked with Dell EMC and Tracewell Designs to create a ruggedized, field-deployable platform for its cloud software, called the Tactical Microsoft Azure Stack. Amazon, meanwhile, has a water, dust and shock-proof AWS Snowball Edge system, which it highlighted as military-ready in its announcement last year: "That may mean using the cloud in the middle of the desert, on board ships, and on the front line of the battlefield." It also produced a glitzy marketing video of the system on a barge, surviving a small explosion. The other key requirement to note is that for AI. "As DoD embarks to stand up a Joint Artificial Intelligence Center (JAIC), it will require an enterprise cloud infrastructure capability. 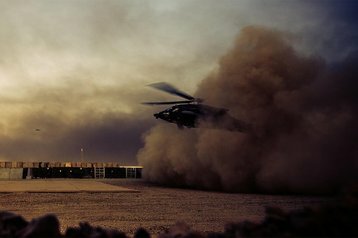 An enterprise cloud will provide the common data and infrastructure platforms that will enable Al to meet the full promise of warfighter advantage." The Joint Artificial Intelligence Center (JAIC) was officially established at the end of June 2018, but details on its purview and structure remain limited. “This is the beginning of a very, very large program that will affect everyone. In a good way,” Eric Schmidt, head of the Defense Innovation Board, technical adviser to Alphabet, and one-time Google CEO, said last year. But major consumer-facing tech companies' involvement in AI weaponry remains an area of concern for customers and the firms' own employees. Google, for example, is not bidding for JEDI. That is in part due to it being unable to meet some of the criteria, but it is also in response to a vociferous internal protest. In March last year, Gizmodo revealed that Google Cloud was secretly working on 'Project Maven,' a product for the US military that would use Google's image recognition smarts for DoD drones. This proved a surprise to both Google's customers and its own employees, with around a dozen people resigning, and more than 4,000 signing a petition protesting the project. “We believe that Google should not be in the business of war,” the petition said. In response, Google released its AI Principles document, which clarified the company's views on working with the military, and in June 2018 said that it would not renew its Maven contract (Maven is now part of JAIC). 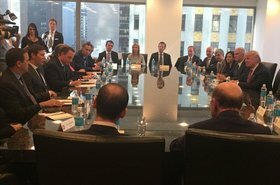 At the end of September, Google CEO Sundar Pichai secretly visited the Pentagon to try to improve the fractured relationship. Unable to bid for portions of JEDI and limited by its own AI Principles, Google pulled out of the running for JEDI. Similar protests happened at Microsoft and Amazon, with employees signing petitions and stating that they "don't believe what we build should be used for waging war." The leadership of both companies, however, defended their attempts to win huge military contracts, with Amazon CEO Jeff Bezos saying that “if big tech companies are going to turn their back on US Department of Defense, this country is going to be in trouble." Making the debate even more complicated is the fact that the rules of engagement for AI weaponry remain undefined, and it's unclear what would be expected of the JEDI provider over a 10-year period. 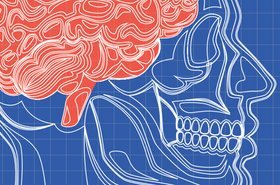 The US government, along with some observers, has tried to promote AI weaponry as a way to reduce death. Speaking at the DefenseOne technology conference last year, former deputy secretary of defense Robert Work discussed Google's Project Maven petition: “I fully agree that it might end up with us taking a shot, but it could easily save lives... It might save 500 Americans or 500 allies or 500 innocent civilians from being attacked." A similar argument is made in the US Government's response to a UN meeting on whether to regulate lethal autonomous weapons systems. Its document, Humanitarian benefits of emerging technologies in the area of lethal autonomous weapon systems, claims that "'smart' weapons that use computers and autonomous functions to deploy force more precisely and efficiently have been shown to reduce risks of harm to civilians and civilian objects." It concludes: "Rather than trying to stigmatize or ban such emerging technologies in the area of lethal autonomous weapon systems, States should encourage such innovation that furthers the objectives and purposes of the [Geneva] Convention." Critics, however, point to the fact that embracing AI systems, including those where humans are not involved in making lethal decisions, could have disastrous consequences - with decision-makers having previously overruled computer-led recommendations to launch nuclear weapons, or kill civilians wrongly categorized as enemy combatants by poorly programmed systems. Another fear is that pushing for AI weaponry all but guarantees an arms race among global superpowers, quickly encouraging nations to operate increasingly automated systems. "Chinese development of military AI is influenced in large part by China’s observation of US plans for defense innovation and fears of a widening “generational gap” in comparison to the US military," the government's Congressional Research Service wrote in its report Artificial Intelligence and National Security, released at the end of January. "The close parallels between US and Chinese AI development have some DoD leaders concerned about the prospects for retaining conventional US military superiority as envisioned in current defense innovation guidance." Jeffrey Ding, of the AI Governance Program at the Future of Humanity Institute, part of the University of Oxford, suggested that "Chinese military institutions, such as the NUDT, have increased their research efforts on intelligent robotics. In the short-term, the People’s Liberation Army (PLA) will likely continue to adopt a range of unmanned vehicles into all four services (Army, Navy, Air Force, and Rocket Force). Combined with breakthroughs in UAV swarming and intelligentized missiles, these developments could challenge the US military presence in the Pacific theater. "In the long-term, China’s AI development could revolutionize its conduct of military affairs." Should AI warfare become standard, the Congressional Research Service warns that "AI introduces a unique means of operating in combat at the extremes of the time scale. It provides systems with an ability to react at gigahertz speed, which in turn holds the potential to dramatically accelerate the overall pace of combat... a drastic increase in the pace of combat could be destabilizing - particularly if it exceeds human ability to understand and control events - and could increase a system’s destructive potential in the event of a loss of system control. "Despite this risk, some argue that speed will confer a definitive warfighting advantage, in turn creating pressures for widespread adoption of military AI applications." 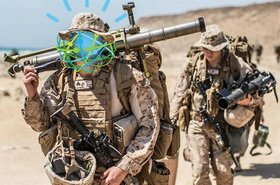 For now, the deployment of AI in the military remains limited. In the 2019 cloud strategy report, the DoD states: "DoD must enable decision makers to use modern data analytics, such as Al and machine learning (ML), at the speed of relevance to make time-critical decisions rapidly in the field to support lethality and enhanced operational efficiency." While most workloads will be handled by JEDI, and some bespoke solutions by milCloud 2.0, it won't be the only infrastructure the DoD uses. At a recent supercomputing event, DCD spoke, under condition of anonymity, to an employee of the DoD High Performance Computing Modernization Program (HPCMP), which handles the department's supercomputing needs, along with more exotic architectures. The employee told DCD that there are certain workloads that are so sensitive that they would never be trusted to the cloud, even after this reporter highlighted AWS' long-standing contract with the CIA. There are also workloads that are stuck using outdated, legacy infrastructure, that may take more time and effort to move to the cloud. "It should be recognized that the Department will still need non-cloud data center capability for applications that are not suited for the cloud. Over time, with the adoption of an enduring enterprise cloud strategy, the non-cloud environment should become smaller," the report states. Moving forward, however, "the primary implementation bias for DoD will be to utilize General Purpose cloud computing. Only when mission needs cannot be supported by General Purpose will Fit For Purpose alternatives be explored." It will also likely take many years for the DoD to shift away from what it describes as "sprawling data center assets." As with most of the federal government, the Pentagon has struggled to meet data center consolidation goals set by FITARA, the 2016 Data Center Optimization Initiative and the 2010 Federal Data Center Consolidation Initiative. The military lagged behind other departments, and in 2016 set up a special data center closure team to help. "The Department still has an opportunity to further rationalize and has done significant work to rationalize and reduce data centers. The cloud will provide an opportunity to accelerate and extend those consolidation opportunities," the report notes. After years of trying to consolidate its IT infrastructure, and prepare for AI warfare, the report concludes that the department has little time left to waste. "The time is now. DoD can no longer afford to delay its technological and cultural shift to truly modem technologies. Rapidly providing DoD access to underlying foundational technologies, like cloud computing and data storage, on a global scale is critical to national defense and in preparing DoD to fight and win wars. If the Department wants to maintain its overmatch, it will need to leverage technologies such as AI and therefore, it must urgently create an enterprise cloud environment."